People.ai is an enterprise software platform that helps sales, marketing, and customer success teams uncover every revenue opportunity from every customer. Companies across multiple industries choose People.ai to capture customer contacts, activity and engagement to drive actionable insights across all Enterprise revenue creation. People.ai had adopted a DevOps heavy approach to analytics in their effort to operationalize open source Apache Spark. Management of data pipeline infrastructure resulting in significant DevOps overhead. Using vanilla Spark still required optimization for big data and collaboration. Lack of automated platform to test configuration changes without affecting production deployments. 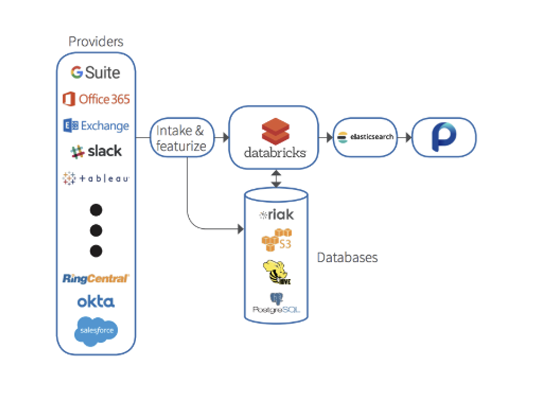 Using the Databricks Unified Analytics Platform, People.ai was able to better leverage their time, produce more value for customers, and build a foundation for future growth. Fully Managed Platform: Automated infrastructure management reduced time spent building end-to-end data pipelines. Improved Productivity: Less time spent managing Spark enabled them to focus on data exploration for machine learning experimentation. Exploring Advanced Analytics: Looking to implement more sophisticated natural language processing, machine learning, and advanced treatment of streaming data. With Databricks, People.ai is now able to focus on creating solutions for business rather than wasting time working on analytics infrastructure. Reduced time spent on DevOps work to 1-2%, saving 20-30% on DevOps costs. Ability to share and experiment in a collaborative work environment with support for 30+ users on a unified platform. Easy exploration of big data and machine learning initiatives with a purpose-built foundation. Enhanced security with the use of enterprise features like access permissions for customer success and support. We were looking for a leader to partner with on analytics infrastructure. With Databricks we can focus our time and resources on innovating new solutions that drive our business.